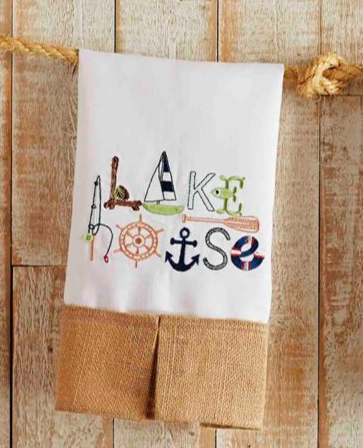 Linen hand towel features embroidered "Lake House" word art and burlap pleated hem. 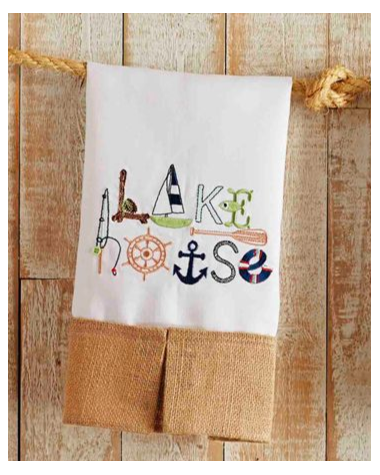 Makes for a wonderful lake hostess gift. Dimensions: 20" x 13 1/2"